Sleep is essential for your body. It can alleviate pain, regulate your general health and leave you with mental clarity needed throughout each day. 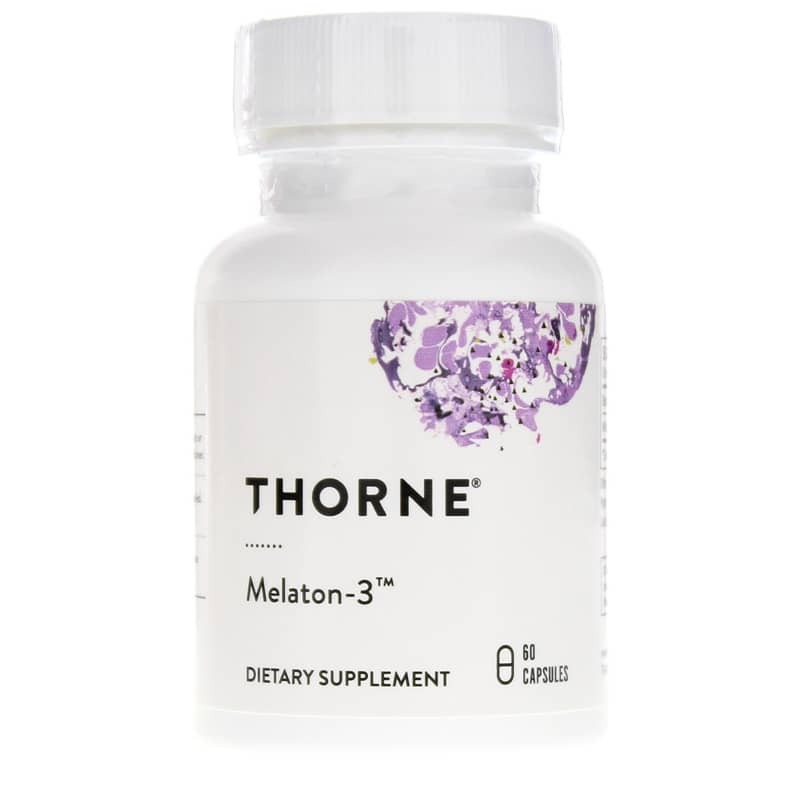 If you are having trouble regulating a sleep cycle due to pain, jet lag, shift work or stress, try Melaton-3 by Thorne Research. It is a natural sleep aid that contains 3mg of melatonin per capsule. Melatonin is the primary hormone of the pineal gland. It exerts a sedative-like effect to promote sleep. The hormone is thought to potentiate the effects of gamma-aminobutyric acid (GABA) via direct interaction with GABA receptors, thus resulting in relaxation. 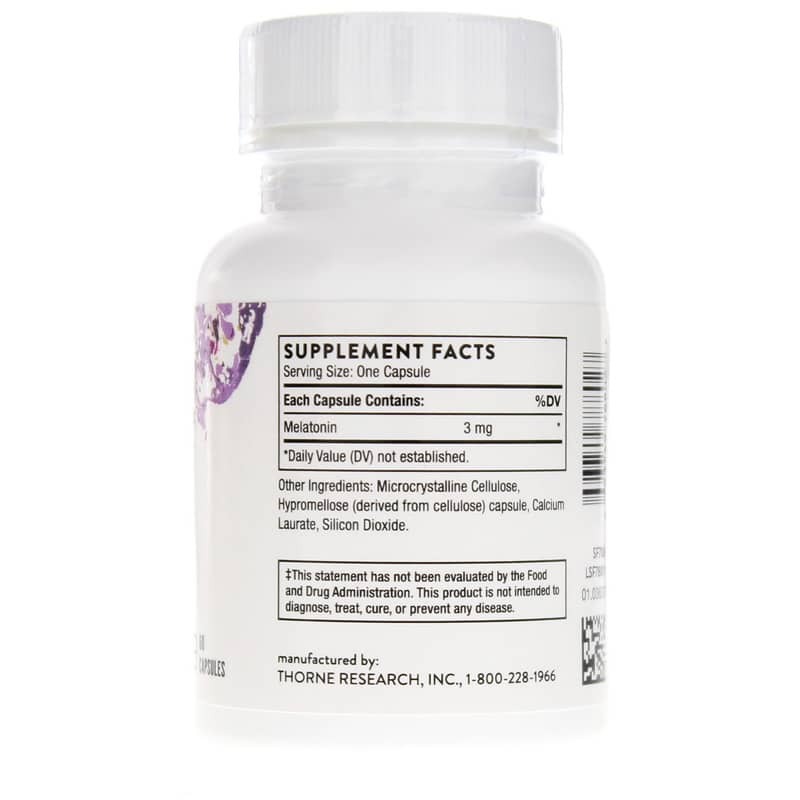 This supplement does not contain wheat, corn, yeast, soy, dairy or artificial ingredients. It is not recommended for pregnant or nursing women. Suggested Use: Take 1 capsule at bedtime or as directed by a healthcare professional. Enjoy the natural effects of Melatonin and achieve the sleep cycle your body needs. 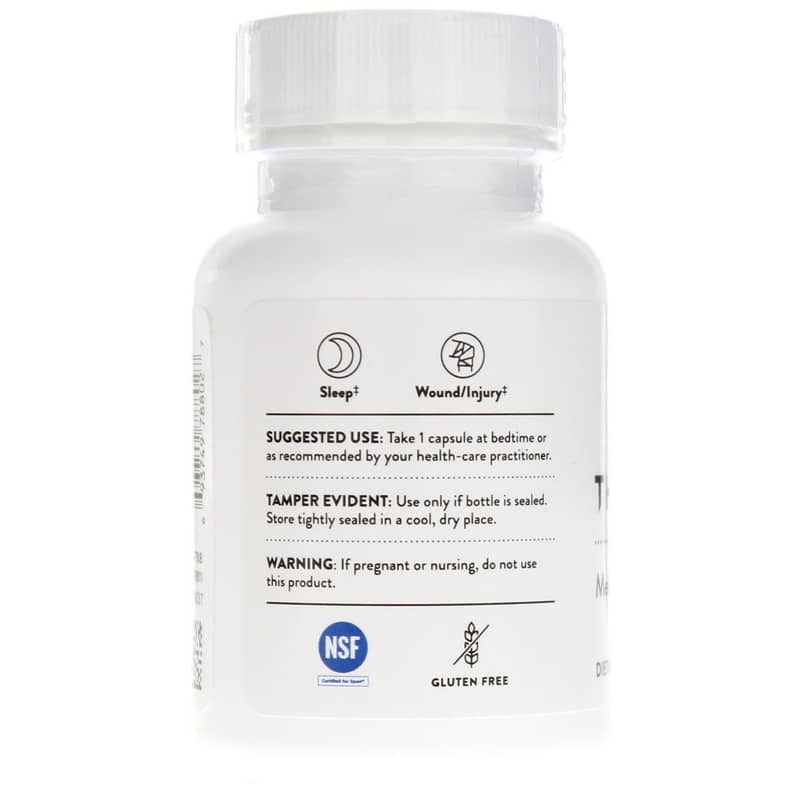 Adults: Take 1 capsule at bedtime or as recommended by your healthcare professional.